Why are we obsessed with calculating our selections? The author argues that competitive trade nurtures calculative reason, which provides the ground for most discourses on economy. But market descriptions of economy are incomplete. 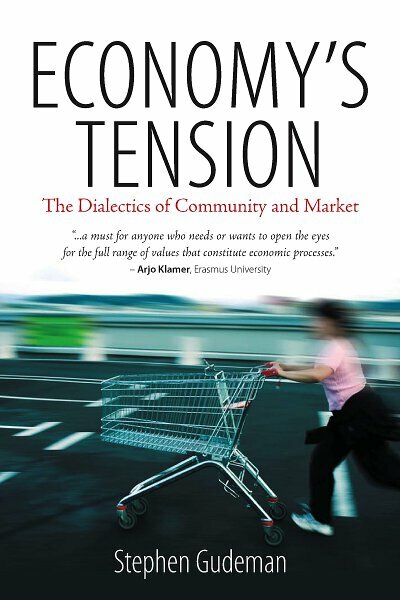 Drawing on a range of materials from small ethnographic contexts to global financial markets, the author shows that economy is dialectically made up of two value realms, termed mutuality and impersonal trade. One or the other may be dominant; however, market reason usually cascades into and debases the mutuality on which it depends. Using this cross-cultural model, the author explores mystifications of economic life, and explains how capital and derivatives can control an economy. The book offers a different conception of economic welfare, development, and freedom; it presents an approach for dealing with environmental devastation, and explains the growing inequalities of wealth within and between nations. Stephen Gudeman received his PhD in Anthropology from Cambridge University and an M.B.A. from Harvard Business School. He is Professor of Anthropology at the University of Minnesota and has carried out fieldwork in Panama, Colombia, Guatemala and Cuba. He works at the intersection of anthropology and economics. His books include The Anthropology of Economy (Blackwell), Conversations in Colombia, with Alberto Rivera (Cambridge UP), Economics as Culture (Routledge), and The Demise of a Rural Economy (Routledge). An interview of the economic anthropologist Stephen Gudeman, talking about his life and work. Filmed on 14th May 2010 by Alan Macfarlane and summary by Sarah Harrison. Generously supported by the Leverhulme Trust.